Studied Biotechnology because of my great interest in living organisms. After that, decided to move a step forward into Systems Biology in order to understand the laws that governed life. Hence, enrolled in a Mathematical Modeling Master’s degree in order to deepen my knowledge in mathematics and computation needed for this end. For the Master thesis, joined the Dynamical Systems Biology lab at the PRBB (CEXS-UPF) for the development and study of a model in molecular dynamics for the Min protein system in E. coli. After finishing the Master, moved to Aachen, Germany to join the Joint Research Center for Computational Biomedicine (RWTH Aachen) as an intern. During this period, worked mainly in stochastic modeling for single-cell data and also on predictive models for chronic kidney disease from MS data. Currently pursuing the PhD here. Mainly interested in Systems and Computational Biology, specially on a cellular and molecular level. The study of such complex systems requires knowledge on many different fields like Molecular Biology, Biochemistry, Dynamics, Mathematics and Programming (among others). Given the great amount of -omics data available nowadays, the best approaches are mathematical and computational models. Unrevealing and characterizing the temporal and/or spatial patterns that govern cellular behavior using models is of great importance for understanding the mechanisms by which cells interact between them and their environment. These in turn, give us insight of how living organisms are regulated and hence, can have many applications in medicine, industry or ecology. 2017-present PhD student, RWTH Aachen University, Joint Research Center for Computational Biomedicine (Germany). 2016-2017 Intern, RWTH Aachen University, Joint Research Center for Computational Biomedicine, Germany. 2016-present Intern, Pompeu Fabra University, Department of Experimental and Health Sciences, Spain. 2012 Intern, Polytechnic University of Catalonia, Department of Physics and Nuclear Engineering, Spain. 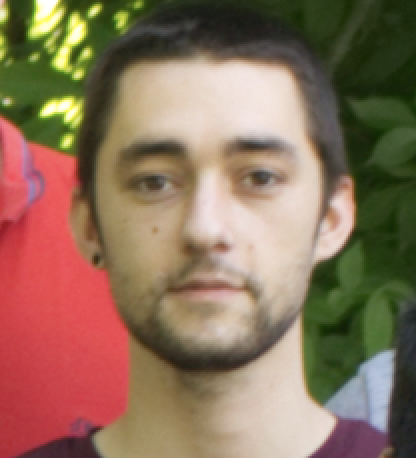 2011 Intern, Miguel Herna ́ndez University, Institute of Molecular and Cellular Biology, Spain. 2017-present PhD in Computational Biomedicine, RWTH Aachen (Germany). 2015-2016 MSc in Modeling for Science and Engineering, Autonomous University of Barcelona, Spain. 2009-2015 BSc in Biotechnology, University of Girona, Spain.